A home clash with Premier League club Crystal Palace lies in wait for Cogenhoe United Under-18s if they can defeat Coventry City at Compton Park tonight (Thursday, kick-off 7.45pm). The Cooks have made it to the second round of the competition after beating Grantham 2-1. Tom O’Neill was the hero in that tie, netting twice. Grantham could only respond with an injury-time penalty from Ollie Smith. It was an impressive win for the Cooks, whose first-team operate two levels below that of Grantham, who also have the added benefit of running an academy. Coventry booked their place in the next round with a 2-1 win at the Pirelli Stadium against Burton Albion back in October. 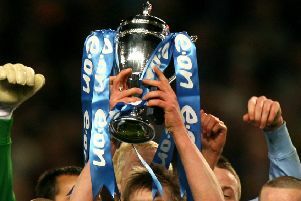 Goals from Sam McCallum and Jack Burroughs ensured that Andy Crabtree’s side would progress to the second round for the second consecutive year. Coventry and Cogenhoe will now both be desperate to set up a tie with Palace. The game against the Premier League club would take place on Saturday, December 15. 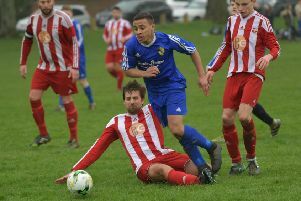 Cogenhoe started their Youth Cup run with a 9-0 win at Rothwell Corinthians in the preliminary round. They then beat Corby Town 4-2, Brackley Town 4-2 and Aylestone Park 1-0. If the Cooks can win tonight then they wiwll join the Cobbles in the third round. Jon Brady’s Town youngsters set up a trip to Arsenal with their 2-0 win over Swindon Town at the PTS Academy Stadium on Wednesday night.